Yale University Press, 9780300140873, 288pp. 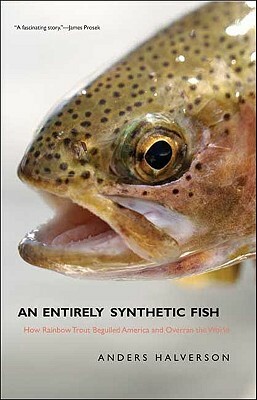 Anders Halverson provides an exhaustively researched and grippingly rendered account of the rainbow trout and why it has become the most commonly stocked and controversial freshwater fish in the United States.Discovered in the remote waters of northern California, rainbow trout have been artificially propagated and distributed for more than 130 years by government officials eager to present Americans with an opportunity to get back to nature by going fishing. Proudly dubbed an entirely synthetic fish by fisheries managers, the rainbow trout has been introduced into every state and province in the United States and Canada and to every continent except Antarctica, often with devastating effects on the native fauna. Halverson examines the paradoxes and reveals a range of characters, from nineteenth-century boosters who believed rainbows could be the saviors of democracy to twenty-first-century biologists who now seek to eradicate them from waters around the globe. Ultimately, the story of the rainbow trout is the story of our relationship with the natural world how it has changed and how it startlingly has not. Anders Halverson is a journalist with a Ph.D. in aquatic ecology from Yale University. He lives in Boulder, CO.